It’s a given that most businesses need high-quality employees to be successful. One way to attract skilled employees is with high-paying salaries but there are other methods to seek out talent without bringing people in who may only be looking for a payday. 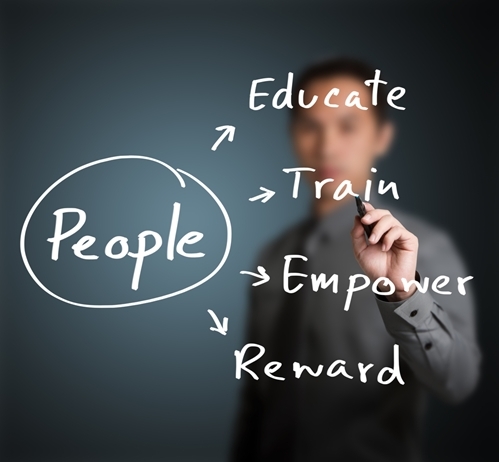 According to Forbes magazine, employees are a company’s greatest asset and competitive advantage. With that in mind, consider how the process of searching for and hiring new people can be revitalized. The Wall Street Journal recommended advertising the ways smaller firms trump big companies. A few examples of the merits associated with working for small businesses are flexible schedules and the option to telecommute. There are often more opportunities for employees to take on different roles in the company and expand their responsibilities. Additionally, small companies may eliminate some of the corporate hoops employees of large firms must jump through, and the relationship between employer and employee can be more personal. Forbes suggested changing how job postings are phrased. Instead of simply listing qualifications and expected responsibilities, explain how the position works within the company’s overall objectives. These details will show potential employees that the job has value. Secondly, consider if a degree is as important as the industry implies. Research shows a combination of training and experience can be just as or more valuable than a college education. Another article in Forbes explained that the hiring market is changing because applicants are gaining more power. However, there remains a disconnect between the two halves of recruitment. According to the publication, 60 percent of job seekers feel there aren’t enough attractive positions offered and 52 percent of recruiters report a lack of favorable applicants. The culture of a company can make a huge difference in gaining and retaining employees. If people enjoy aspects of being at work such as interacting with coworkers, the physical environment or relationships with managers, they’ll be more likely to stay with the company. According to Forbes, the importance of building a brand as a quality employer is equivalent to creating a brand as a business. It’s inevitable that employees will be vocal about an employer who doesn’t respect them or make them feel appreciated and valued. To bolster the company’s reputation for providing a positive work experience, offer employees certain perks. Some benefits that staff may value are flexible hours, day care services for those with young kids or personalized products. Part of being known as a great company is hiring effective managers. According to Business News Daily, employees who quit often do so because of experiences with their direct manager rather than an issue with the company as a whole. The publication recommends investing in management and being diligent about letting ineffective managers go. One of the reasons a positive company culture is so important is for a successful referral program. Current employees have to enjoy where they work to be motivated to tell their friends about open positions. The program will be more effective if there is an incentive associated with referrals. Some companies offer a cash bonus, either when a referred applicant accepts a job or based on high-quality performance over a determined length of time. Alternatives to a boost in their next paycheck include personalized business gifts that remind the employee of the company. They must be proud of where they work if they want others to work there also, so this is a very appropriate incentive.